LifeQuest is a program developed to do two main things: (1) To enhance traditional student awareness of personal calling and (2) to improve students’ preparedness for their chosen career paths. New students are introduced to LifeQuest in either BU 101: Belhaven Basics (required class for freshman ) or Christian Interpretation of Life (required class for transfers). We begin this process by having students take the CliftonStrengths for Students assessment. Throughout a student’s tenure at Belhaven, he/she has touchpoints in required courses that allow reflection on his/her unique top five strengths and the concept of “personal calling.” The goal is that by the time a student graduates from Belhaven, he/she will have a clear understanding of personal strengths and calling as they related to a chosen career path. This journey culminates in our Kingdom Life course, which is required of all seniors. 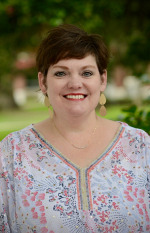 An additional component of the LifeQuest program is that the Associate Dean of LifeQuest, Dr. Erin Singleton, is available to any traditional student who is undecided on a major and for Interdisciplinary Studies majors. She also meets individually with students who have questions about alternative major choices. Dr. Singleton coordinates the Belhaven Basics course, trains the instructors, and teaches a section of the course in both the fall and the spring. Any students wishing to make an appointment with Dr. Singleton can contact her at the information below. LifeQuest helped me in a wonderful ways. It showed me strengths that I knew I had, but wasn't sure how to utilize. Now I know what my strengths are and the best possible way of using it. LifeQuest is a great way to find out more about yourself. It also helps you to learn more about what would be a great choice for your career field.